White Bear Lake Therapist: Diane Hovey - Therapist 55110. Send A Message To Dr. Hovey. 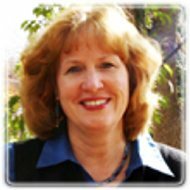 Dr. Diane Hovey is a Licensed Marriage and Family Therapist as well as a Certified Biblio/Poetry Therapist. She works with individual, families and couples in addressing challenges that throw life out of balance or even out of control. This may include a diagnosis such as cancer or disability or it may be the unpleasant discovery of infidelity. It may be a more dramatic challenge such as an accident, abuse, or loss that makes it difficult, at best, to function on a daily basis. Sometimes it is stress that has gotten so out of control it feels like you can no longer breathe or like your heart will burst. Whatever the challenge, Diane works with you to address your goals and desires for improved well-being. She uses the methods best suited to as assisting you in meeting your goals and needs. When appropriate, she uses her creative skills to aid you in expressing experience that can be difficult to put into words. Dr. Diane Hovey received her degree in Family Social Science from the University of Minnesota where she studied with leading experts in stress and family systems theory. Her research focused on those who live with overwhelming life challenges and how those stressors impact the meanings that drive behaviors. Prior to her work in private practice, Dr. Hovey was the founder and director of The Family Institute for Creative Well-Being, working to enhance the lives of those living with disability and chronic illness through use of the creative arts. She also develops and creates therapeutic resources to be used by therapists and individuals to improve their potential for healing and well-being. Diane has been married for thirty-one years (to the same man) and has three children including one who has a severe disability. She enjoys creative undertakings of all varieties, learning to ride her horse and meditating while practicing the fine art of shoveling manure.